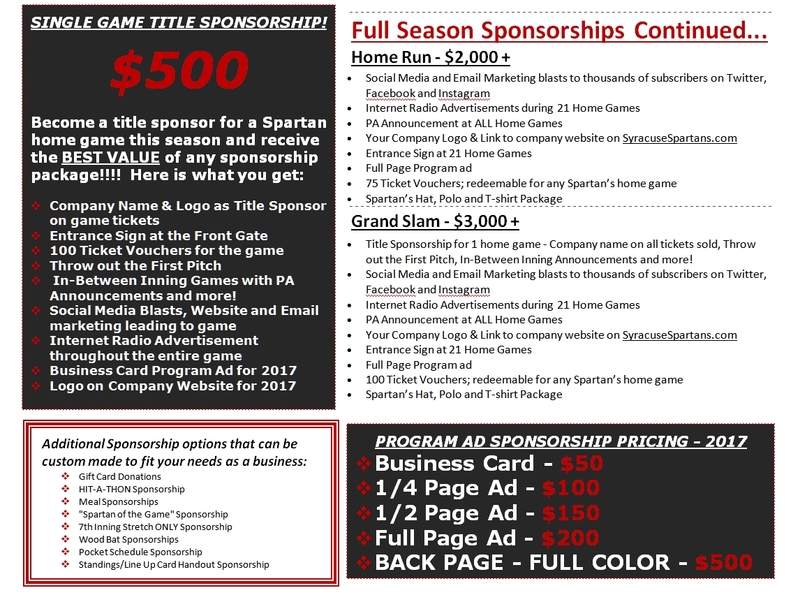 Check out all of the marketing opportunities we give to our sponsors! We make sure that every sponsorship package fully fits the needs of our partners! Want something different? Just ask! We will taylor make the package just for you! 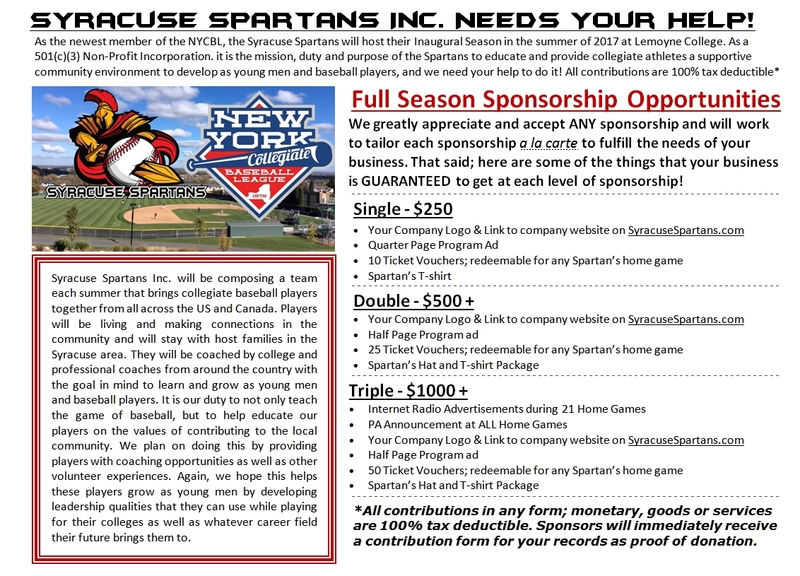 By sponsoring the Spartans you will not only get some great marketing opportunities, you will LITERALLY be helping youth athletes pursue their dreams of playing baseball at the next level! Our players will all have to opportunity to get scouted by MLB teams while they're playing in Syracuse this summer, and they couldn't be here without your help!